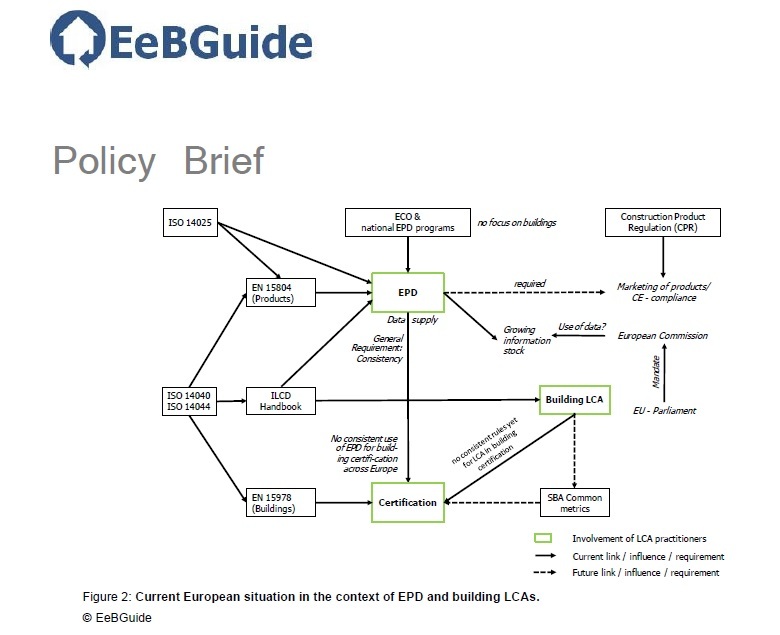 The “EeBGuide” was a project co-funded by the EU in 2011 under the Seventh Framework Programme and European initiative E2B EI (Operational guidance for Life Cycle Assessment studies of the Energy Efficient Buildings Initiative). This was developed as a Coordination and Support Action (CSA) aimed at coordinating or supporting research activities and policies and was carried out by a group of international experts. Below we will analyse in more detail the objectives and most significant results of this project, among which was a more widespread use of LCA (Life Cycle Assessment). An international consortium worked on the project for two years under the coordination of the Sustainable Construction Group of the Fraunhofer Institute for Building Physics, with the participation of a German company called PE International AG. The other partners were French (Centre Scientifique et Technique du Bâtiment), Spanish (Escola Superior de Comercio International), British (BRE Global Ltd) and Swedish (Prof Ch Sjöström Consultancy). The international consortium aimed to meet the general short-term goal of empowering society to deal with the harmful effects of climate change by promoting sustainable development, in the form of eco-efficient consumption of manufactured goods and services with the minimum amount of embodied energy. 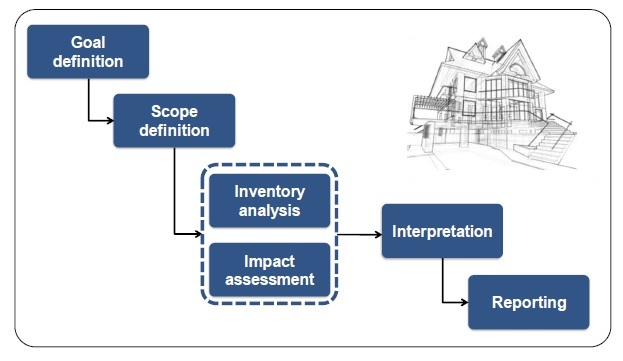 In this context, the Life Cycle Assessment of buildings or of their components and materials, has a fundamental role in supporting the decision-making process to select the best, most innovative technologies and materials with the lowest environmental impact. 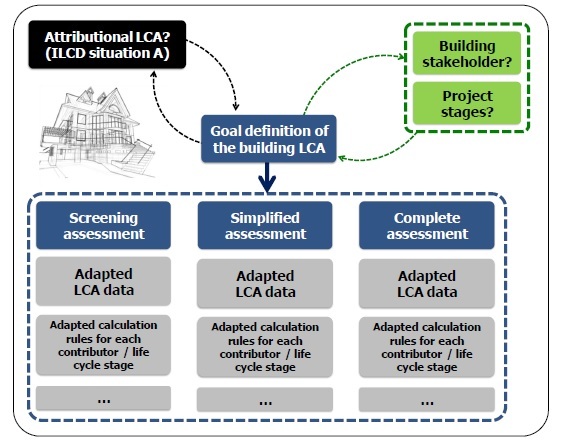 Finally, the working group faced the challenge of promoting the LCA method for the evaluation of buildings (both retrofitted and new) and their components and materials, as widely and transparently as possible. to create a website reference for the dissemination of life cycle methodology that continues after the project is finished. the European Technical Committee for Standardization published a useful guideline (CEN / TC 350) for LCA reports on the subject of buildings, building materials and also for LCC (Life Cycle Cost) and quantification of indoor comfort. The manual has the same name as the EeBGuide project and was developed with the involvement of leading experts in the construction industry. It can be read online or downloaded in a PDF format as can a template to prepare reports of LCA analysis. helping companies to improve the performance of their products (if data for their own countries are not available it is permitted to use data for neighbouring countries). labelling of sustainable materials (such as concrete). to help a building’s design meet the criteria of EN standards 15804 and 15978.
detailed identification of the environmental problems of the product or the building analysed. The manual’s final chapter contains a useful list of abbreviations and a glossary to facilitate understanding for people who are not familiar with the technical jargon. There is also a comparative evaluation list of commercially available software for producing LCA reports and for selecting appropriate environmental impact indicators. The EeBGuide website is divided into seven sections, covering general information on the working group and on the project. Furthermore, in the download section a lot of documentation is available for free, such as for instance, three case studies about how to apply the analytical methods described above to three new builds and four energy retrofit builds. The final project results, completed in 2013, can be accessed by subscribing to the EeBGuide forum which is hosted in the multilingual Internet platform called Construction 21.